Имате въпрос към Continents Bed and Breakfast? Независимо дали сте турист или пътувате по бизнес, Continents Bed and Breakfast е перфектен избор за настаняване в Давао. Хотелът не е далеч от центъра на града - намира се само на 5.8 km от него, а до летището се стига за около 35 минути. С удобното си местоположение хотелът предлага лесен достъп до всички градски забележителности, които задължително трябва да се видят. В Continents Bed and Breakfast отличното обслужване и достъпните съоръжения допринасят за Вашия незабравим престой. Гостите на хотела могат да ползват съоръжения като безплатен WiFi достъп във всички стаи, съхраняване на багаж, Wi-Fi връзка в общите части, паркинг, зала за пушачи. Всички стаи се отличават с грижливо замислени удобства, което гарантира неповторимо усещане за комфорт. Освен това в хотела можете да се възползвате от множество предложения за приятно прекарване на свободното време. С превъзходните си удобства и отличното си местоположение Continents Bed and Breakfast е идеално място, в което можете да се насладите на престоя си в Давао. Love the couple who owns the place! They we very friendly and accommodating. The facilities where homey and very relaxing. Planning to book there again on my next trip to Davao. Nice and very clean place to spend few nights.familly owned by nice couple who will walk the extra mile to make you comfortable and accommodate your needs while you're there. The wi if could use some updates. After all, great value for your money, home feeling place to stay. Dear James, Thank you for taking the time to review our property, and the positive review despite some discomforts you experienced. In regards to the TV programs, we wish you notified us immediately. All of our rooms have access to Cable TV with a broad range of programs. We suspect that you inadvertently changed settings on the TV, rather than searching channels on the remote control of the digital cable box. To prevent similar incidents in the future, we will provide guests with more information. Kind regards, Continents B&B Management. An excellent choice of very tasty buffet breakfast in all offered options you can choose on the evening before. Great hosts who give you very best advice where to arrange whatever thing you need in Davao. I slept very calm and comfortable. Coffeemaker, coffee, drinking water is provided in your room everyday. 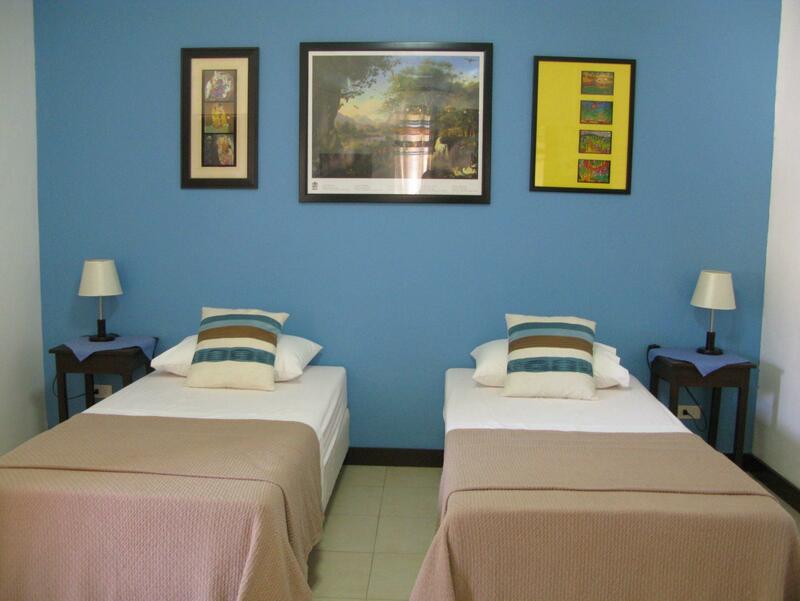 The room is very clean and safe, aircon not noisy at all, they clean everyday and change towels. Cheap and good laundry nearby in 3 minutes walking distance. SM Mall Ecoland and a great burger and coffee resto very nearby in walking distance of 10 minutes. I enjoyed this place very much because they really cover all needs of a foreign guest from Europe much better than at all other places where I stayed in this country. And where can you book a very affordable and comfortable room next to the house of the president of the country? Here you can. I really felt at home here, among friends. And this happened in my first stay here. I'll definitely come back. Compliments to the owners who make this place so worthy to enjoy a stay so very much. And k thanks for all the good advices. Room Tip: Take "Africa" Suite as I did and enjoy the refrigerator for refreshing icetea whenever. This, by far, is the best accommodation we have ever had. The owners Johan and Marifi were both very friendly and welcoming, and their dog Datu is very adorable! Our room was cleaned regularly and their breakfast is delicious. We will definitely refer this to our friends and will come back once we are given the chance to experience Davao again. We enjoyed an excellent stay at the Continents and the owners were extremely friendly and accommodating such that our room was upgraded and we were allowed an early check-in. Although the location is a bit difficult to find initially, I think that the location away from the busy streets was a plus. I also very much loved the dog and was glad I could take him for a walk! I will surely stay here when i get back to Davao. The place made me feel at home. Kudos! We found stay there very pleasant and the staff were fantastic doing whatever to make our stay pleasant. the convenience to mall.the nice breakfast. .and the staff. 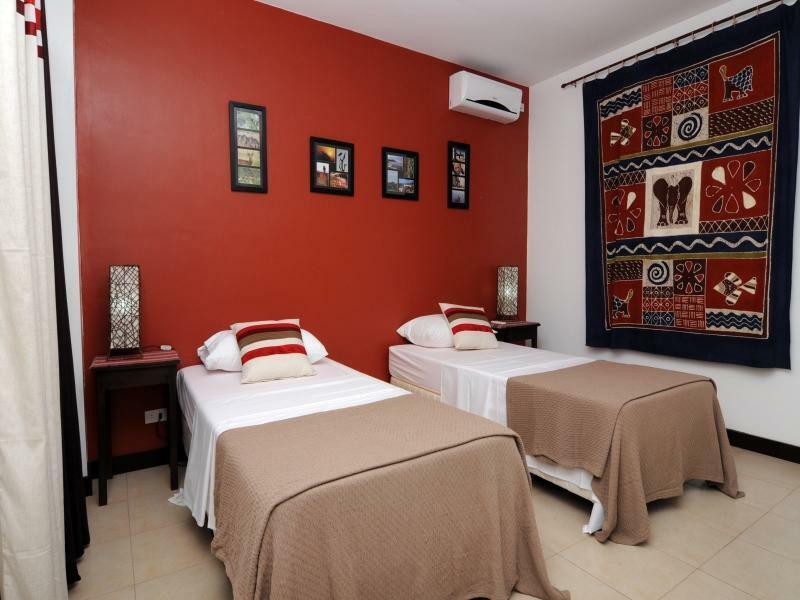 Large comfortable room, quiet location & very helpful staff. Awesome :) The owner Marifi treated me like I was part of her family. The room was large, comfortable and clean. All modern appliances and good Wi-Fi. I could not be happier with the great customer service I received from Marifi & Marco Polo could learn from her. I was reserved to tell about my wonderful experience at the Continents because I might not be able to get a room there on my next trip to Davao. Easy walk to SM Ecoland & close to Jack's Ridge restaurant which is a must do while in Davao. I highly recommend the Continents B&B to all, friends and relatives. If you need a cheap and quiet place to spend your time in Davao, Continents Bed and Breakfast is absolutely a good choice. Five minutes away from SM Ecoland (2 by tricycle), the rooms are big and clean, the staff is absolutely amazing and you will enjoy the quiet of a subdivision. 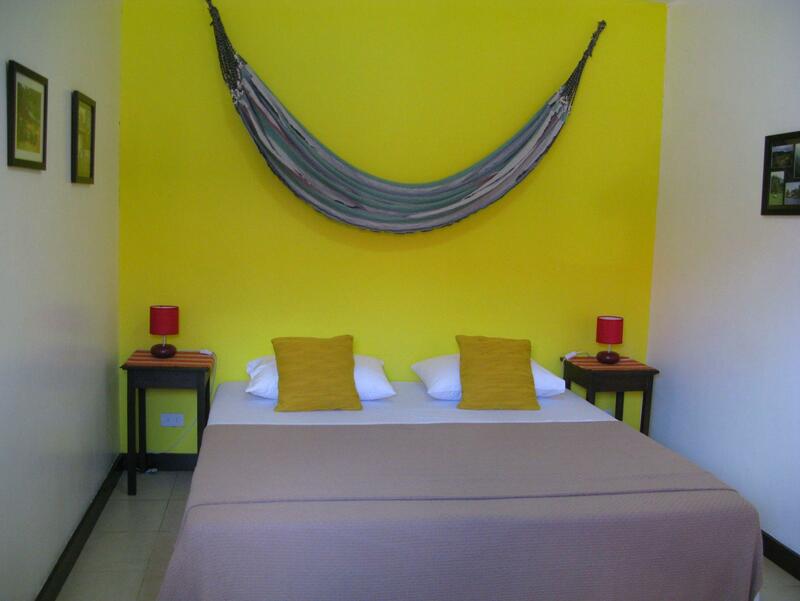 Clean, spacious room, great breakfast and friendly staff. We stayed at Continents because of it's proximity to SM Ecoland where a Bonsai show was being held. It's about a 15 minute walk to the mall but getting a cab is no problem because the staff can call for one. The place only has four rooms so the owner herself keeps tab on everything to make one's stay comfortable and pleasant. Breakfast is excellent - complete with cereals, main course and fruits in season. If you are looking for very good value for money, Continents is the place to go. We loved the room, the breakfast and the dog! Отседнахме 7 вечер/и в юли 2015 г. We had a nice stay , & and the owner are good people, and they clean our room everyday.only u can ask for more is a little faster internet. Love the room, the breakfast in the garden. :) the location very secured. When I first arrived, I noticed that it was a residence (house). I guess I should have paid more attention. After seeing the room, I was very impressed. It was large, very clean, and beautifully arranged. There was a lot of thought that went into the preparation and it was obvious that the owners thought about every little detail when designing and decorating the rooms. I like it so much that I extended my stay another 2 days for a total of 4 days. The owners were extremely nice and very inviting. They were easy to talk to and seemed to love their little Bed and Breakfast. I got the feeling that it was a dream of theirs that came true. They really are fantastic people. I will stay there again for sure if I return to Davao.